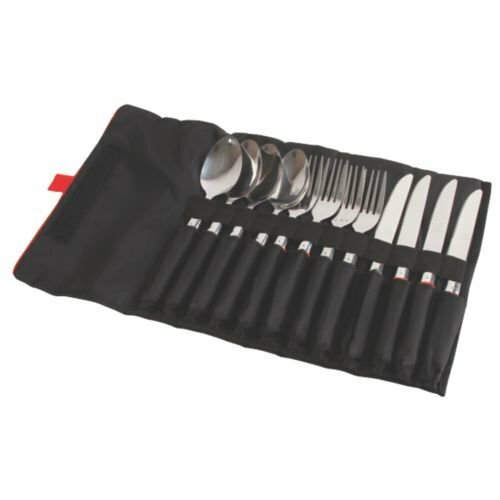 There's a utensil for every campsite meal in the Coleman Rugged 12-Piece Stainless Steel Utensil Set. The set of four forks, four knives and four spoons is perfect for a family of four. When you're done you can put them in the dishwasher for easy cleaning and then pack them in the rolling carrying case for compact storage.